The Notes app is one of the most used apps on iPhones and iPads - it would be a real shame if you happen to lose them, whether if it is because you misplaced your device or accidentally deleted the notes. It is highly recommended that you routinely export notes on iPhone and iPad into a different storage space. In this article, we show your 3 ways backup notes on iPhone and iPad. It is really simple and easy to do. iPhone and iPad users that use PCs would understand the struggle in backing up anything on their PC computer. With the help of the Wondershare dr.fone - Backup & Restore (iOS), you will be able to directly scan and backup Notes on iPhone and iPad in a readable HTML file. 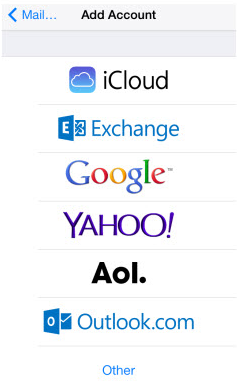 You can also do this backup for iPhone messages, contacts, photos, Facebook messages and many other data. Backup Notes on iPhone and iPad Turns Flexible. Supports iPhone X / 8 (Plus)/ iPhone 7(Plus)/ iPhone6s(Plus), iPhone SE and the latest iOS 11 fully! Fully compatible with Windows 10 or Mac 10.13. To help you start backing up your device, we have laid out the steps that you need to do to export your data. Connect your device and launch Wondershare dr.fone. Click on the option of “Backup & Restore” from dr.fone interface. Notes: If you have used the software to backup your phone previously, click "To view the previous backup files >>" to find your previous backup files. The software will scan and detect the types of files you have on your device. Select the ones you want to backup and click" Backup" to start the process. Depending on the amount of data you have on your iPhone or iPad, this will take several minutes. You will be able to see a list of data that you can backup and export such as Photos & Videos, Messages & Call Logs, Contacts, Memos etc. After selecting the specific files that you want, click "Export to PC" to save the files onto your computer. Once you have clicked this button, you can either click "Only Export This File Type" or "Export All The Selected File Types". You can then determine the destination folder of the exported files. If you'd like print these backup data directly, you can just click the "Printer" button on the top right of the window to get it done! Note: It is very convenient to preview and selectively backup notes on iPhone and iPad with dr.fone. If you choose iTunes or iCloud, you are not allowed to preview and selectively backup iPhone notes. So, it maybe a good choice for you to free download dr.fone to get your your problem through! What if you want to backup notes on iPad, but do not have you USB cable with you? Well, you can easily do this by using iCloud. Make sure that your device has enough battery when you want to export Notes on iPhone and iPad into the iCloud server. It is also recommended that you use a WiFi network and make sure that there is enough storage. Note: You will need to enable iCloud to sync with Notes in order for this to work. 1. 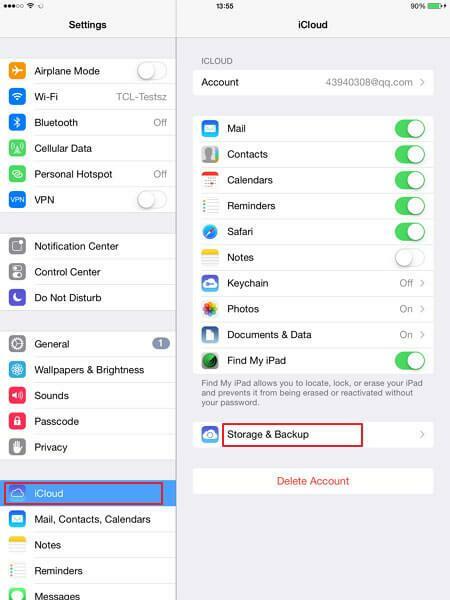 On your iPhone or iPad go to "Settings > iCloud". 2. Tap on "Storage & Backup > Backup Now" to start backing up Notes from your iPhone or iPhone. Note: iCloud only gives 5GB free storage - if during the backup process you exceed the storage space, you will need to purchase extra storage space. Or you can try to fix not enough space on iPhone to restore backup in another method. 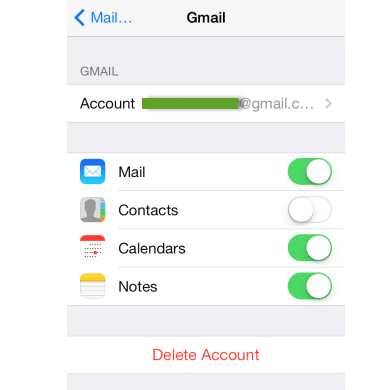 By using Google Sync, you are able to sync your iPhone with Google emails, calendars and contacts. What you may not know is that you can actually also sync your iPhone Notes with your Gmail account. Of course, you can only use this if your devices are using iOS 4 and later versions of the operating system. 1. On your device, go to "Settings > Mail, Contacts, Calendars > Add Account" and select "Google". 2. Complete the details that is required e.g. name, full email address, password and description. Turn on sync for "Notes". Your notes will be transferred to your Gmail account under the label called "Notes". However, do note that it is a one-way sync. This simply means that you can only edit the notes from your iPhone or iPad. You cannot transfer notes edited on your Gmail account back into your iPhone or iPad. You can also customize to enable Notes to sync to multiple Gmail accounts. You can do this with other accounts too. You can setup the settings under "Accounts" in the "Notes" app where you can select to sync all notes to a particular account or different group of notes to a particular account. Backing up your iPhone and iPad is so much easier these days - all you need to do is find and use the best and most convenient method for you. These three methods are probably the easiest and convenient ways to backup notes on iPhone and iPad. Hopefully this article has helped you narrow down which method will work for you. The cloud-based system allows users to store music, photos, documents, applications, reminders, backups, notes, iBooks, and contacts list easily. With the top 5 password generator. you will not need to worry your security of your account anymore.Read our article for details! It is becoming important to have a secure password for your important account.How to generate password for security?Here are our best suggestions for you! Can I recover notes on my stolen iPhone from computer? Of course! This guide tells you how to recover notes from stolen iPhone/iPad/iPod touch in 2 ways. This article is telling about how to save notes from iPhone to a PC or a Mac, so that you can manage them on your computer easily and effortlessly. Any way to copy iPhone notes to PC or Mac? Sure! This article is going to show you three ways to copy iPhone notes to computer or Mac in simple clicks. Read on to find out how to delete duplicated files on your iPhone.